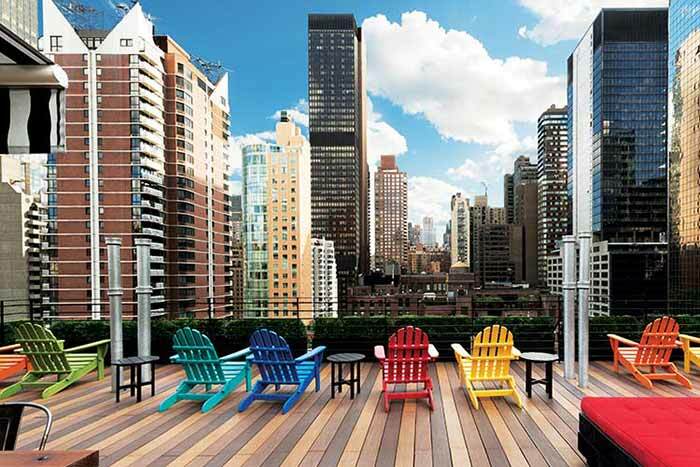 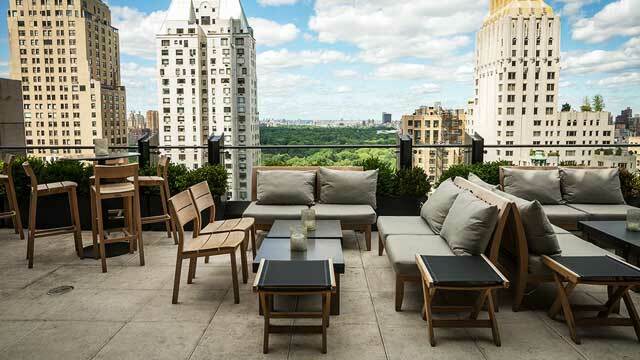 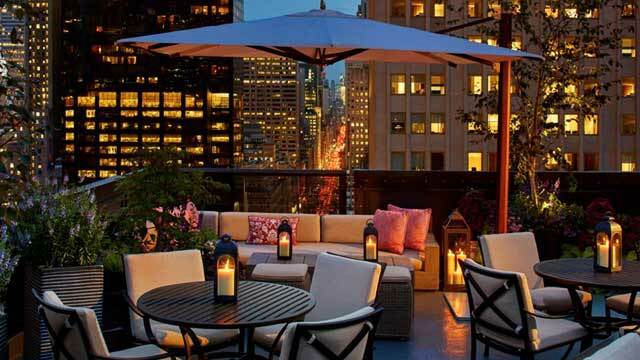 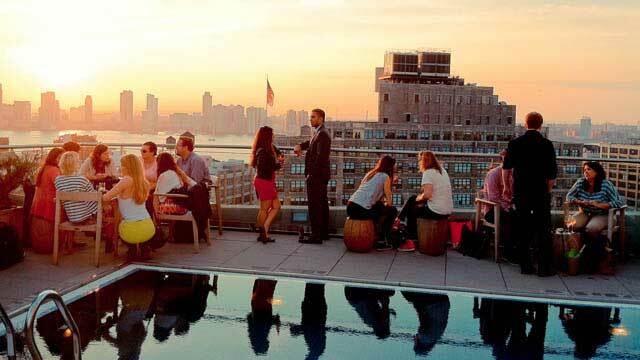 The Roof NY is perched atop the Viceroy Central Park, and if you are searching for a stylish place where you can gaze out over Central Park, this is the NYC rooftop bar to visit. 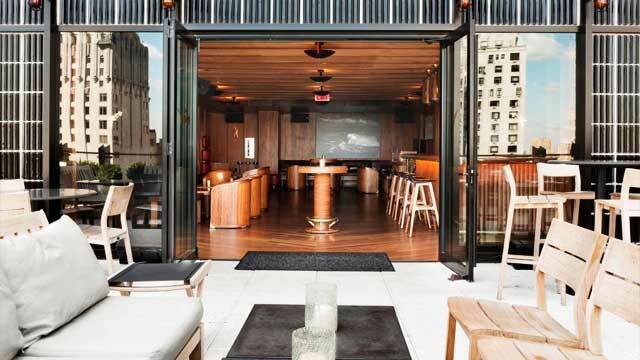 An indoor and outdoor lounge with a very luxurious yet uncluttered décor, reminiscent of a yacht with ipe floors, brass details and custom walnut-and-leather sofas. 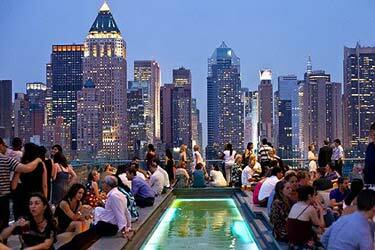 The terrace is covered with panels during the colder months, so The Roof is a place to visit year round. 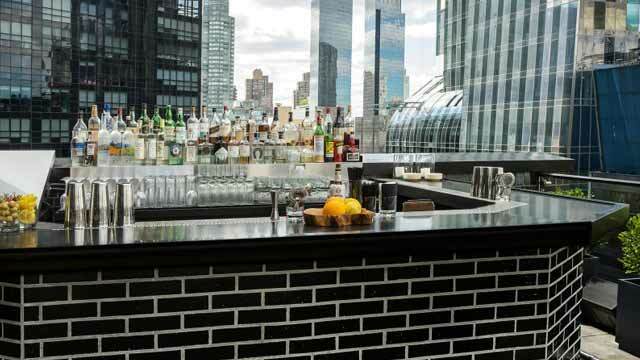 The rooftop bars offers a fine selection of both classic and house cocktails, including a Mega Mule, served in a 2 liter copper mug. 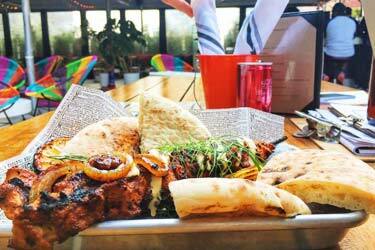 There is also a set of regionaly brewed beers, wines by glass or bottle and a small set of bar bites. 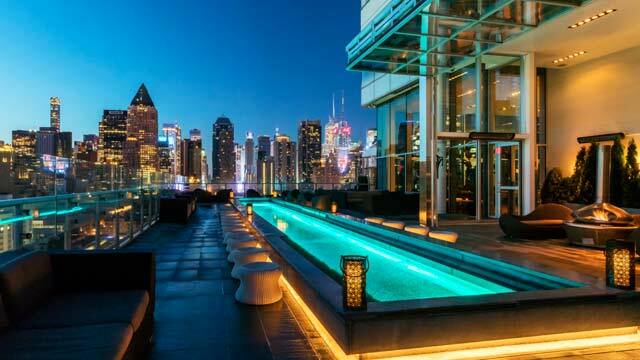 It is pricey for sure, but with the views, quality and ambience it is well worth it. 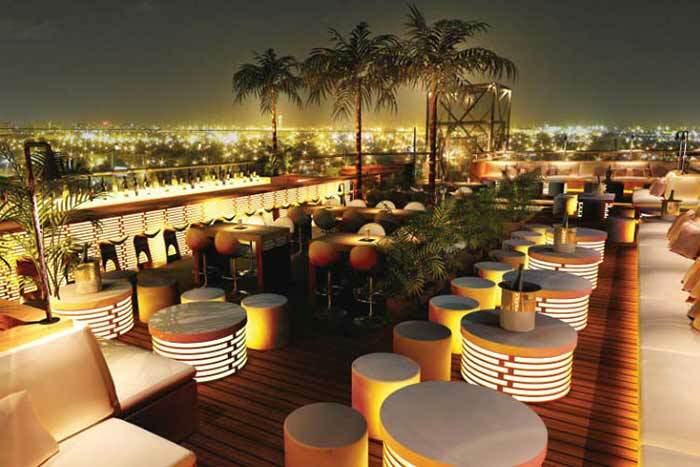 The Roof at Viceroy is really a swanky hot spot, very popular among an upscale crowd. 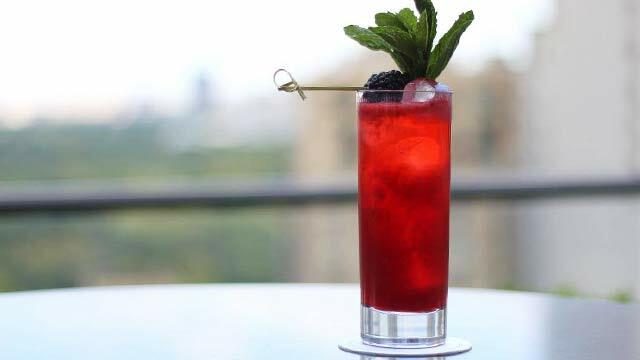 Usually a bit more low key during afternoons / early evenings and more lively and vibrant lounge-feel as the night wears on. 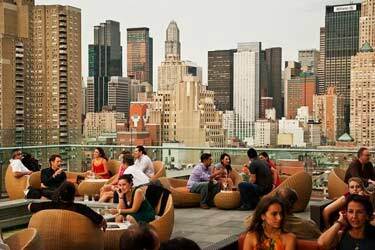 On a sunny weekend you will probably have to be in real good time to catch a spot on the terrace. 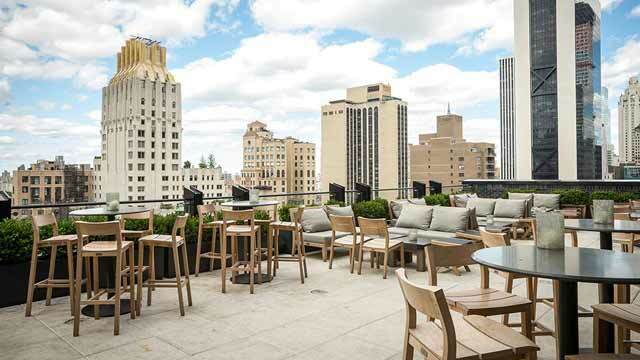 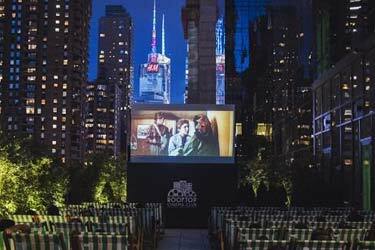 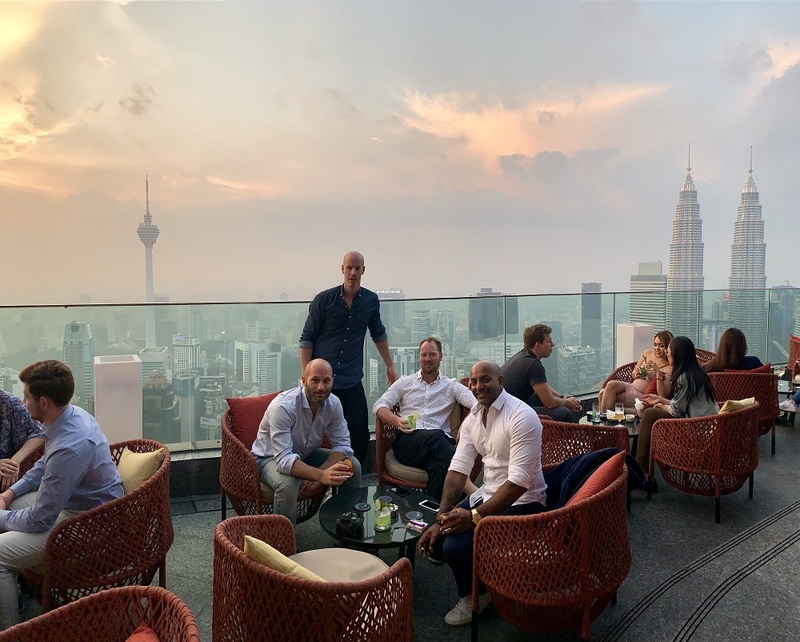 Read our review after a visit to The Roof in June 2018, with premium Central Park views in a lively and nice atmosphere.